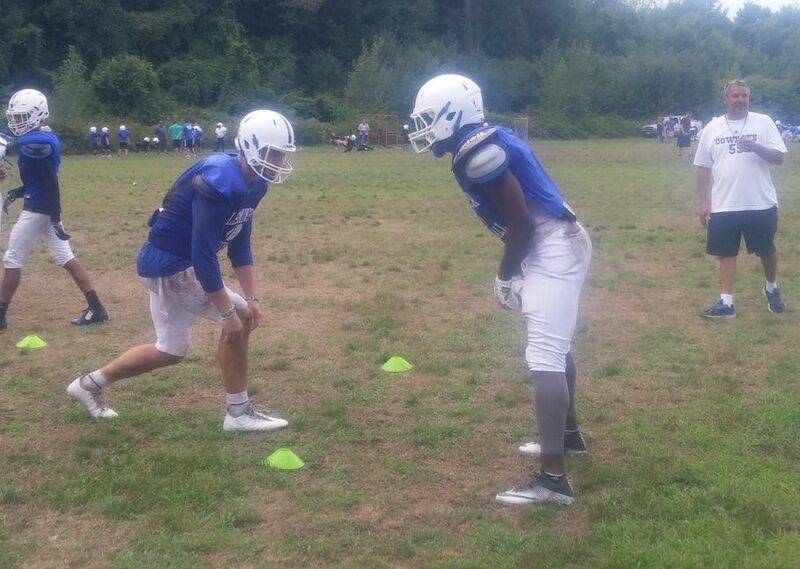 Leominster held on against Oakmont last week, but the Blue Devils will have to play their best game to top BC High Friday. Ed. Note- Our resident Mass football guru John Sarianides is back with his biggest takeaways from a wild weekend of high school football across the Commonwealth. 1. I can’t say I’m surprised that Bridgewater-Raynham beat Xaverian. The Trojans are physical on both sides of the ball, and Dan Buron’s teams have done a great job of ball-controlling teams through the years. 2. Central Catholic beat St. John’s Prep with defense and a solid running game. I know most people think it’s the Bret Edwards show offensively, but the Raiders are way more than that. 3. Holliston continues to do what Holliston does- Win games. L-S put a scare in the Panthers, but Todd Kiley’s troops still found a way to win. 4. Mansfield got back on track with a big 34-10 win over Braintree. The Wamps are for real, so this is a good win for Mike Redding’s Hornets. Mansfield hosts Attleboro and King Phillip in the next two weeks. Those two games could determine the winner of the Kelley-Rex in the Hockomock. 5. Billerica dominated the line of scrimmage in a 44-35 win over Andover. Duane Sigsbury preaches physicality and toughness, and the Indians embody those qualities to a tee. They’ll need to continue to play at a high level with Everett looming on the schedule in Week 4. 6. Hanover finally got over the East Bridgewater hump, beating the Vikings 33-28 on Friday night. It was a big win for the Indians. Don’t sleep on Hanover. They could give Holliston a run for their money come playoff time. 7. Leominster received a scare last week against Oakmont, but hung on to win 30-20. Noah Gray and the Blue Devils will need to play much better this week when they travel to BC High to battle Danny Abraham and the Eagles. 8. Westford Academy quarterback Conor Degenhardt had a nice week, huh? He completed 18-31 passes for 228 yards and four touchdown passes. The Holy Cross commit is off to a good start to his senior season. 9. Duxbury rolled over Barnstable 49-13 on Friday night. The Dragons are the best team in the state right now. 10. St. John’s of Shrewsbury is off to an impressive start after wins against Catholic Memorial and Shepherd Hill. Head Coach John Andreoli’s Pioneers are once again a contender in Central Mass. They’ll be tested this week however when they take on Connecticut power Xavier.